Cork Airport has renamed its main runway because of changes to the Earth’s magnetic poles. Designated as Runway 17/35 in 1961, it’s now called Runway 16/34. It was renamed a result of changes to the Earth’s magnetic poles in the past 57 years, which have shifted the runway’s magnetic headings. The runway now stands at 164°M and 344°M respectively. The redesignation took place on Thursday, April 26, before the first wave of departing flights. 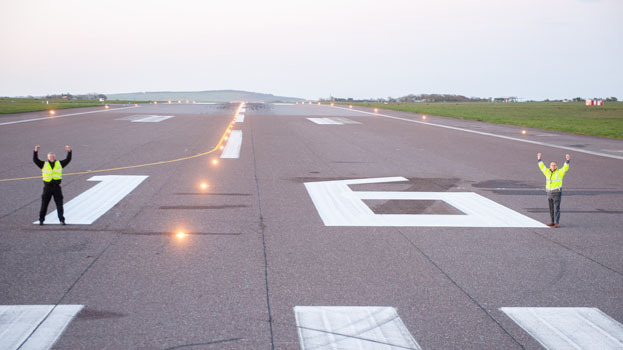 Con Dooney, General Manager of Operations and Safety at Cork Airport, said: “Cork’s two-digit runway designator is crucial for pilots during take-off, landing and taxiing. Thanks to the coordinated efforts by Cork Airport and the Irish Aviation Authority, we are delighted to complete the renumbering overnight without any delay to our busy first wave of departing flights.